Chempak® Sulphur Major Trace Element Feed 750g Carton boosts deficient soil conditions for healthy ericaceous plant growth. Many ericaceous plants will not grow, or will show signs of trace element deficiencies if the soil is not ideal for that plant. Most common ericaceous (lime-hating) plants will not grow in limey soils. Chempak Sulphur will gradually reduce the pH content of a soil to make this suitable for healthy ericaceous plant growth. Supplied from the Chempak® Plant Health Range. 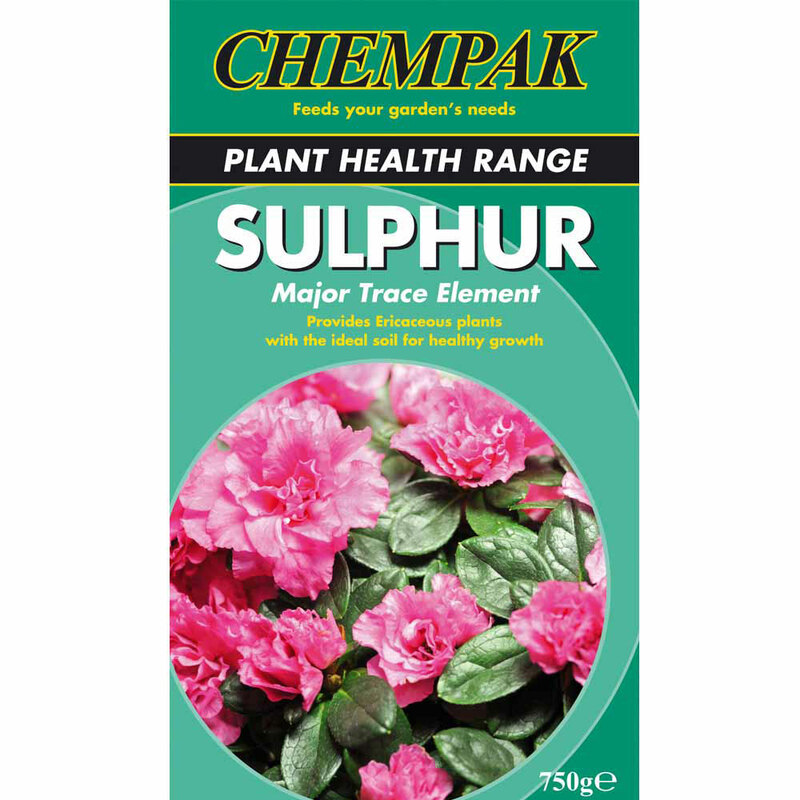 For new plants, dig Chempak Sulphur in to the top 6-8"